One of the most serious pests that is likely to attack your gladioli are gladiolus thrips (Taeniothrips simplex). The best control for gladiolus thrips is to take preventive measures to keep from having them at all. If you plant pest-free corms, you will most likely grow pest-free glads. 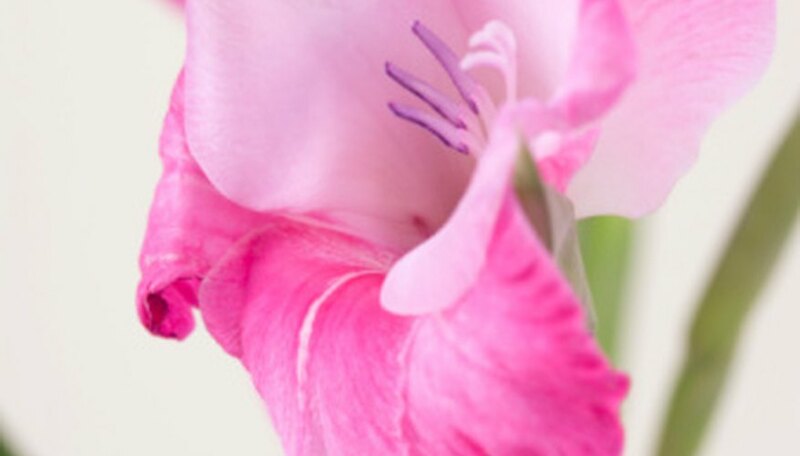 Properly treated beforehand, your gorgeous gladiolus can flourish unaffected by these nasty little bugs, even if your neighbors are plagued by heavy thrip infestations. Purchase your gladiolus bulbs from reputable retailers. Choose large, healthy corms with no signs of damage, disease or rot. If you’re bringing corms out of winter storage, inspect them carefully and discard any that don’t look healthy or that may be harboring bugs. Treat the corms for thrips right before you plant. Put 10-15 of them in a paper bag. Add 1/4 teaspoon of Sevin (Carbaryl) dust. Close the bag and shake it gently to coat all the corms. Use Lysol household cleaning liquid if you don‘t care for dusting with Sevin. Add 4 teaspoons of Lysol to 1 gallon of water. Soak the gladiolus corms for six hours. Plant immediately thereafter. Treat your gladioli with insecticidal soap as soon as foliage emerges. Follow the packaging instructions carefully. Repeat applications as per the manufacturer’s recommendations. Dust corms with Sevin after digging up and curing your corms for winter storage. Shake 50 corms in a paper bag with 1 teaspoon of of Carbaryl powder. If you’d rather not use Carbaryl, soak them for two to three minutes in hot water at about 160 degrees Fahrenheit -- don’t boil them. Remove the corms from the water and spread them out on some old newspapers to dry overnight before storing for the winter. Store glad corms at temperatures between 35 and 40 degrees Fahrenheit for the winter. Thrips can’t survive at such low temperatures. Plant your glads in different locations from season to season. This helps control gladiolus thrips, Fusarium wilt and other common viruses.